Inspirerend! 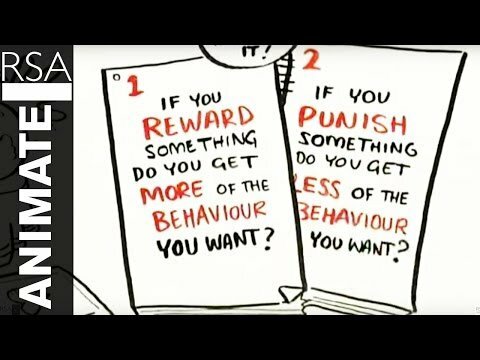 "The surprising truth about what motivates us"
This lively RSA Animate, adapted from Dan Pink's talk at the RSA, illustrates the hidden truths behind what really motivates us at home and in the workplace." Naast een goed inhoudelijk verhaal, erg inspirerend in beeld gebracht!